AT&T chief executive Randall Stephenson met with President-elect Donald Trump on Thursday to talk jobs and investment, but the company's multi-billion takeover of Time Warner was not on the table. 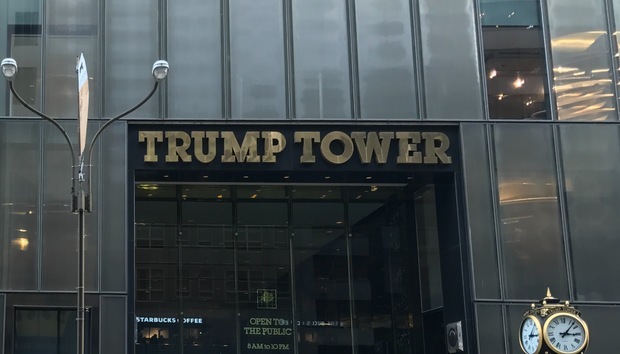 The company didn't say much about the meeting, which took place at Trump Tower in New York, but characterized it as wide ranging. "As the country’s leading investor of capital for each of the last five years, the conversation focused on how AT&T can work with the Trump administration to increase investment in the U.S., stimulate job creation in America, and make American companies more competitive globally," AT&T said in a statement. Stephenson is one of several CEOs to have met with Trump in recent weeks. Many of the meetings have been focused on similar issues, although in many cases the job and investment commitments announced after the meetings were already in place. AT&T has a good reason to cozy up to Trump. The president-elect has pledged a major push in infrastructure building and AT&T owns one of the largest telecommunications networks in the country, so it could benefit from any government investment in that area. And while AT&T said the proposed merger with Time Warner wasn't discussed, it's sure to be a keen area of concern for the company. Before the election, Trump pledged it is "a deal we will not approve," citing media concentration concerns. The deal includes CNN, which is currently in Trump's crosshairs for breaking the news on concerns that Russian spies have compromising information about him.